Prague Airport is one of the most modern aerial ports in Europe and the second largest airport in central Europe. Last year was evaluated by millions of satisfied passengers as The best airport in Central and Eastern Europe, and received the reward of prestigious inquiry at the World Airport Awards in 2007. This recognition shows professional service provided to the airport passengers. Just last year more than twelve million people went through this airport. 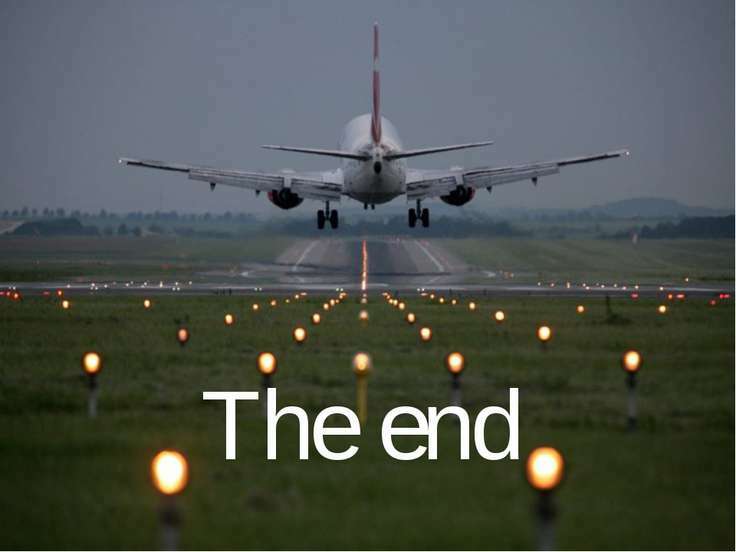 In 2004, the airport served 9.7 million passengers, in 2005 nearly 10.8 million and in 2006 11.6 million. 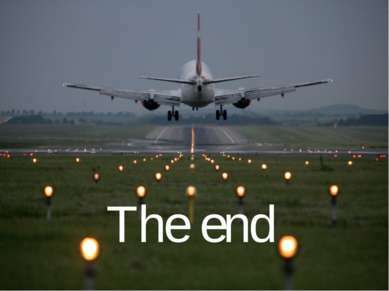 In 2007 the number of passengers rose to 12,440,000, and the owners of the airport predicted further growth for 2008 with more than 13 million passengers. Preliminary data for 2008 showed 12,700,000 passengers. History Czechoslovakia, today Czech Republic, belonged to the leading European pioneers of the civil aviation and became over time a part of the most state-of-the-art continental transportation system. 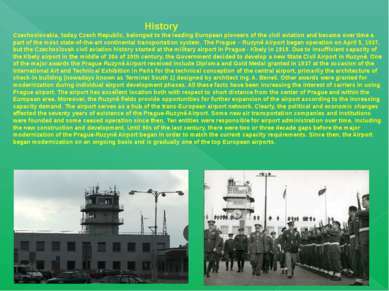 The Prague – Ruzyně Airport began operation on April 5, 1937, but the Czechoslovak civil aviation history started at the military airport in Prague - Kbely in 1919. 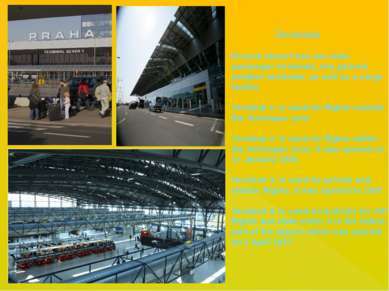 Due to insufficient capacity of the Kbely airport in the middle of 30s of 20th century, the Government decided to develop a new State Civil Airport in Ruzyně. One of the major awards the Prague Ruzyně Airport received include Diploma and Gold Medal granted in 1937 at the occasion of the International Art and Technical Exhibition in Paris for the technical conception of the central airport, primarily the architecture of check-in building (nowadays known as Terminal South 1) designed by architect Ing. A. Beneš. Other awards were granted for modernization during individual airport development phases. All these facts have been increasing the interest of carriers in using Prague airport. The airport has excellent location both with respect to short distance from the center of Prague and within the European area. Moreover, the Ruzyně fields provide opportunities for further expansion of the airport according to the increasing capacity demand. The airport serves as a hub of the trans-European airport network. Clearly, the political and economic changes affected the seventy years of existence of the Prague-Ruzyně Airport. Some new air transportation companies and institutions were founded and some ceased operation since then. Ten entities were responsible for airport administration over time, including the new construction and development. Until 90s of the last century, there were two or three decade gaps before the major modernization of the Prague-Ruzyně Airport began in order to match the current capacity requirements. 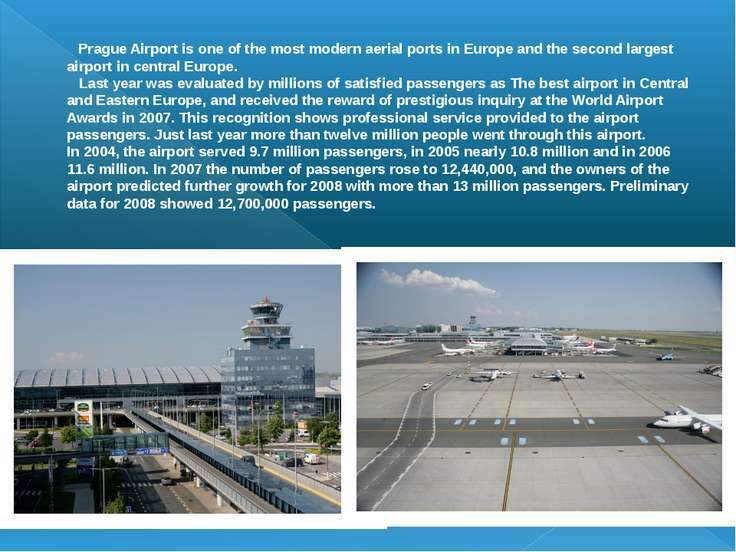 Since then, the Airport began modernization on an ongoing basis and is gradually one of the top European airports. Runway The airport contains two runways in service: 06/24 and 13/31. Former runway 04/22 is not used any more. The most used runway is 24 due to the prevailing western winds. Runway 31 is also used often. Runway 06 is used rarely while runway 13 is used only exceptionally. 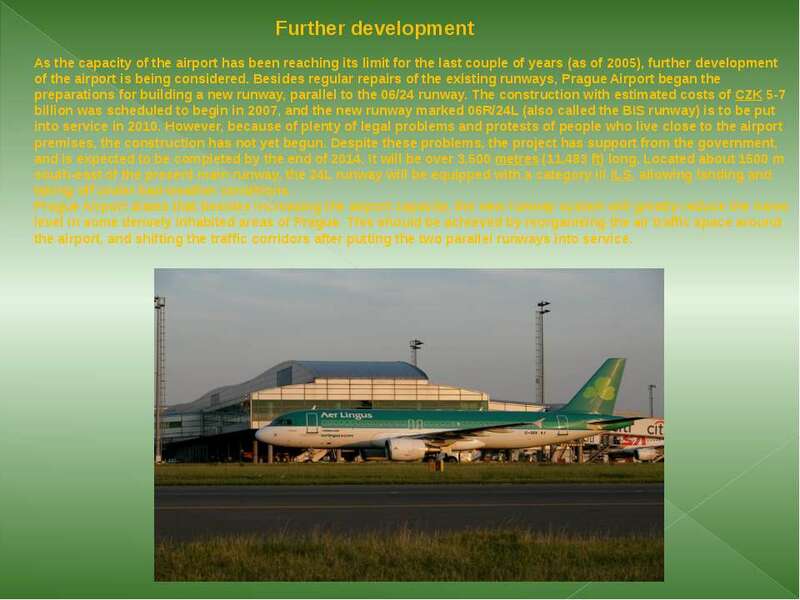 Further development As the capacity of the airport has been reaching its limit for the last couple of years (as of 2005), further development of the airport is being considered. Besides regular repairs of the existing runways, Prague Airport began the preparations for building a new runway, parallel to the 06/24 runway. 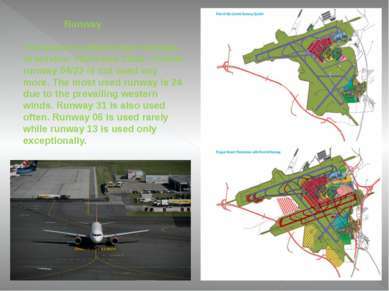 The construction with estimated costs of CZK 5-7 billion was scheduled to begin in 2007, and the new runway marked 06R/24L (also called the BIS runway) is to be put into service in 2010. However, because of plenty of legal problems and protests of people who live close to the airport premises, the construction has not yet begun. Despite these problems, the project has support from the government, and is expected to be completed by the end of 2014. It will be over 3,500 metres (11,483 ft) long. Located about 1500 m south-east of the present main runway, the 24L runway will be equipped with a category III ILS, allowing landing and taking off under bad weather conditions. Prague Airport states that besides increasing the airport capacity, the new runway system will greatly reduce the noise level in some densely inhabited areas of Prague. This should be achieved by reorganising the air traffic space around the airport, and shifting the traffic corridors after putting the two parallel runways into service.